Sahalie's summer sale has some good bargains and nifty accessories—as always, we bring you the best finds below. 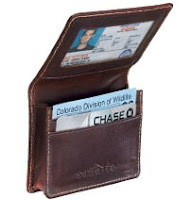 With a cool perforated-leather grid on the outside and a nifty expanding pocket on the inside, this wallet is a good buy, no? Now marked down to $25. 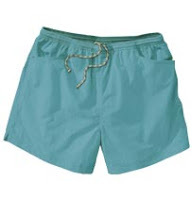 Designed to wick away moisture and be soft on your skin, the zip dry shorts come in eight colors and now cost only $13. Also, and this is important, they have three pockets. THREE. This is three more pockets than many women's pants have. Dear Sahalie shorts-makers: thank you for understanding that we have keys. 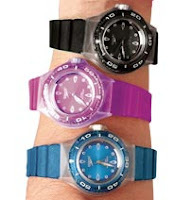 With water resistance up to 150 feet, luminescent hands, and bubblegum colors, these watches are a steal for $15 (formerly $20). At that price, too, you won't be so annoyed when you leave the watch on the beach. Not that this has ever happened to me. Um. This attractive purse converts quickly into a backpack and has oodles of handy pockets. Originally $129, it's now $90. Super-lightweight, fleecy wooby capris have some stretch in them, too. Super comfortable and great for workouts or weekends. Now $40. 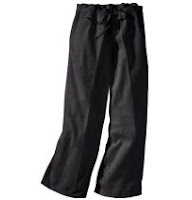 Pareo pants are flowy like a sarong, with a sarong-like tie waist, but they're pants, eliminating the ever-present likelihood of sudden wind causing a wardrobe malfunction/Sarong Emergency. Now $35, but only available in small/medium, sorry. 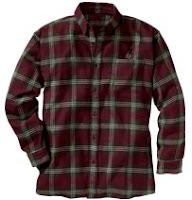 The 3XDry flannel shirt dries (duh) three times faster than normal fabric, nice if you're camping and get caught in a rainstorm. Mmm, flannel is cozy, too. Marked down from $65, now $30. 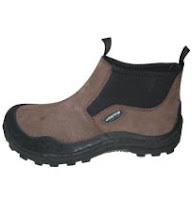 Men's Winter Solo Boots. It's hard to think about winter right now, but these look cozy. Now $70, marked down from $95. One of those fun multi-tools. 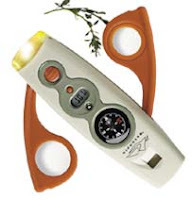 This one has a compass, LED flashlight, digital thermometer, waterproof match cubby, magnifying glass, signal mirror, and whistle. $18.